Great for company picnics and team building activities! 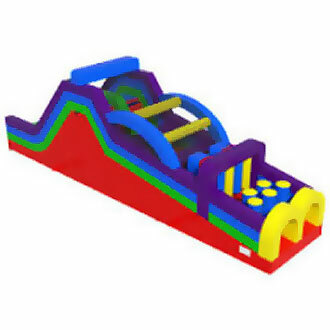 Description: One of our newest addition, this 45' obstacle course rental can be connected to our other obstacle courses to form larger and more impressive rides. This obstacle course rental is the big brother of our 40' obstacle course. It has similar features but its taller, and longer providing more of a challenge.